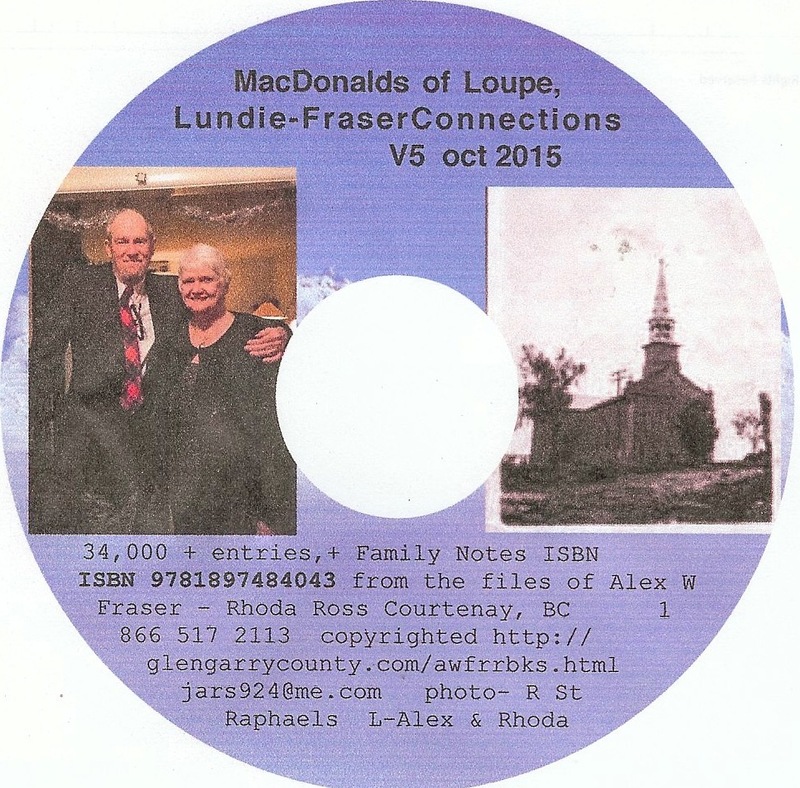 MacDonalds of Loup, Lundie, Fraser Connections Family Groups. The MacDonalds of Loup, Lundie, Fraser connections has grown to more than 34,000 entries. Version 5 is avalable as of January 2016 on a CD. The Book Value of this work, MacDonalds of Loup, Lundie, Fraser Connections is in the vicinity of 1,000 to 1,200 dollars. This list would over lap to some degree and totals over 6284 pages, up from 3200 pages. Thus, you can see why it is on a CD. The above number of pages does not include the files in the Family Notes Folder, which could add up to as many pages again. Thus, these 6284 pages represent 10 volumes of 629 pages each if printed out. At a cost for a printed work, at $55.00 a volume = $550.00 plus shipping. At present no hard printed copy is being planed. For orders going to the USA or elsewhere payment can be made by money order or via paypal.